You all know how much I love Paris! I’ve written over 25 Blog posts about this gorgeous city! Today, I’m giddy with excitement! Why? Because the BBC’s Masterpiece Theater is releasing the latest version of Victor Hugo’s novel on April 14, 2019! I can’t wait! Today, I’ll answer all your questions about the Les Miserables settings in Paris! Spoiler Alert: “Les Mis” is not about The French Revolution. The French Revolution began with the storming of the Bastille in 1789. The principal events of Les Misérables take place in 1832. Different century. In the early morning hours of June 5, crowds of workers, students, and others gathered in the streets of Paris. 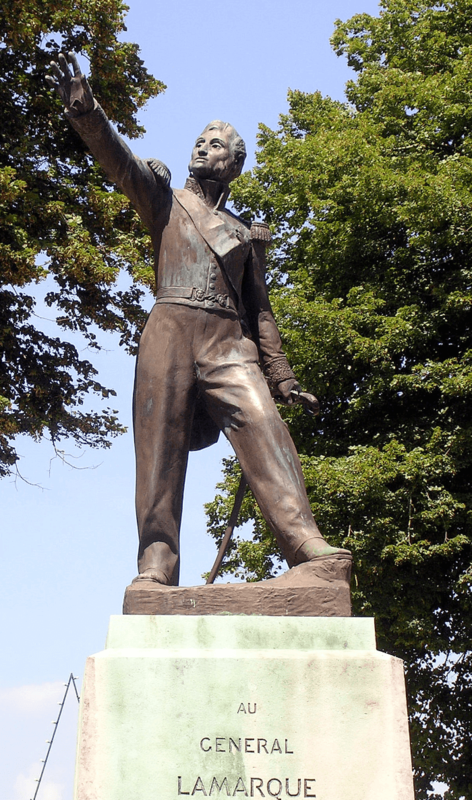 General Jean Maximilien Lamarque was dead, and had been a friend to the poor and downtrodden. They hoped to accompany Lamarque’s hearse before it took the general home to his native district in the southwest of France. However, those mourning and those with a political agenda became a mob that numbered in the tens of thousands. The 30-year-old Victor Hugo, author of Les Misérables. was nearby, in the Tuileries Gardens, writing a play. He heard gunfire from the direction of Les Halles. Following the sounds, he was unaware that the mob had taken half of Paris. Unfortunately, the barricades were everywhere in Les Halles. According to Wikipedia, “Hugo headed north up the Rue Montmartre. Surrounded by barricades, he flung himself against a wall, as all the shops and stores were closed. For a quarter of an hour, bullets flew both ways.” Three decades later, he wrote about the unforgettable experience in Les Misérables. Before we jump into the tourist sites, if you are planning to visit Paris, and would like my FREE Guide to International Travel, click on the image below to get your FREE Guide and Check-List. Many of my readers have found this freebie very helpful in their planning! 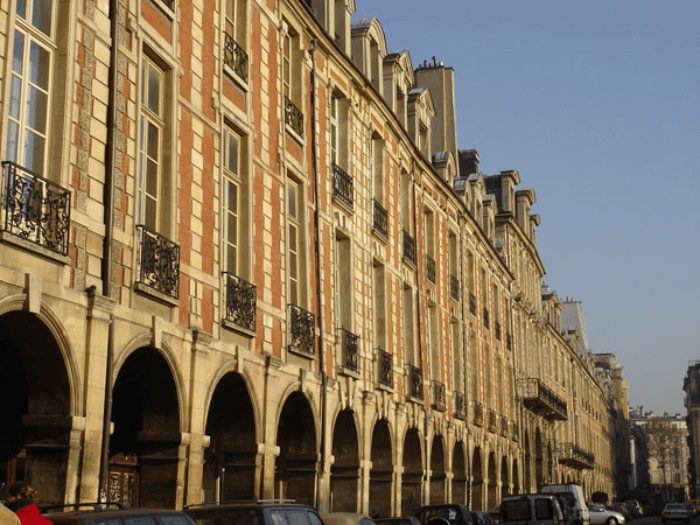 The first stop for anyone in search of Les Misérables in Paris must include the author’s home-turned-museum on the second floor of the Hôtel de Rohan-Guéménée in the Place des Vosages. Hugo lived there from 1832 to 1848 with his wife Adèle and their four children. In this apartment, he wrote two collections of poetry, plays and a portion of Les Misérables. 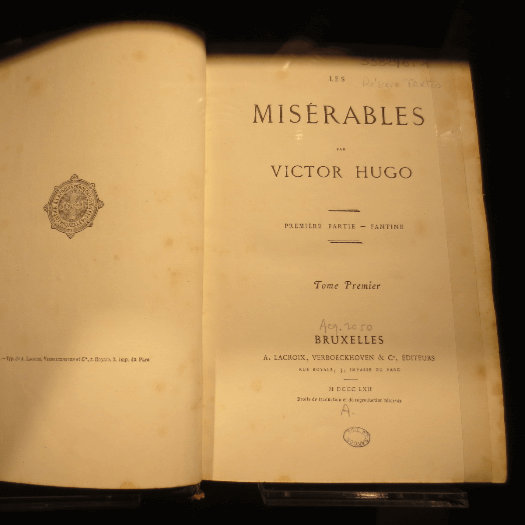 He started Les Mis in 1845 and worked on it for 17 years, spending the entire last year at Guernsey making corrections—eight hours a day—to the manuscript. The museum is divided to illustrate the three sections of Hugo’s life: before, during and after exile. It contains hundreds of his drawings. Also, it is decorated with artifacts collected by the writer during his travels. There’s a fantastic restaurant in the Place des Vosages called Ma Bourgogne! I highly recommend it! And, for other Paris restaurant tips, click here for my Paris Restaurant Guide! 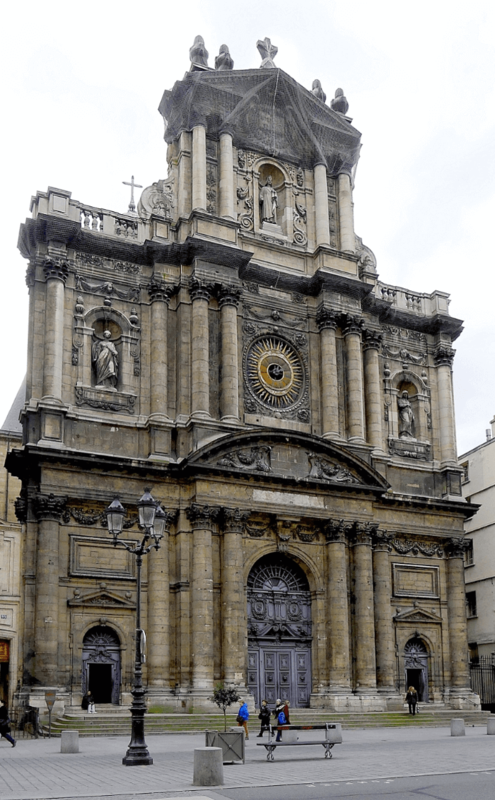 The Jesuits constructed Saint Paul-Saint Louis from 1627 to 1641, and the church’s 180-foot dome. Intricate carvings and shadowy corners appear much as they did 200 years ago. Hugo was a parishioner of the church and donated the shell-shaped holy water fonts on either side of the entrance. Like Cosette, the author’s daughter Léopoldine was married in Saint-Paul in 1843. One of Hugo’s favorite spots to eat was the Grand Véfour in the Palais-Royal, which first opened its doors (as the Café de Chartres) in 1784. 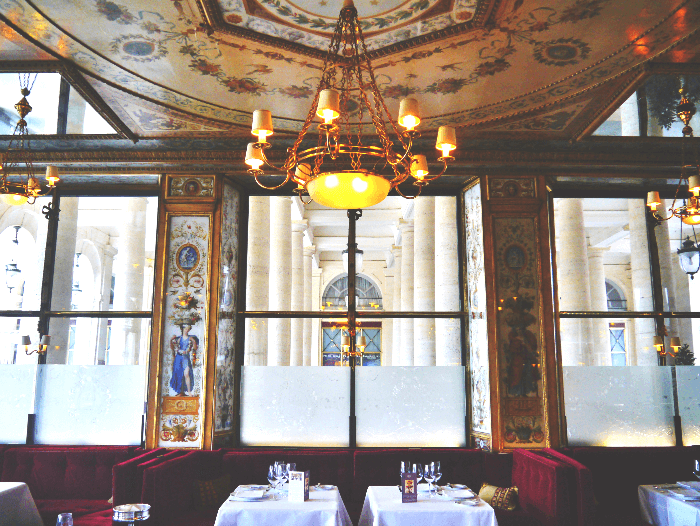 Though the menu has changed, the restaurant’s gilded frames, neoclassical paintings and mirrored walls are original. During the 19th century, the Véfour served as a hangout for the literary elite. Victor Hugo’s order was always the same: vermicelli noodles, mutton and white beans. Today, the Michelin-starred restaurant, helmed by Chef Guy Martin, is known for French dishes such as duck liver ravioli and Prince Rainier III pigeon. Reserve a seat at the “Hugo table” near the window, with its courtyard view. Sounds lovely to me!!!! Paris’s underworld is a huge setting in Les Misérables, most famously its sewers, which once branched for a hundred miles beneath the city’s cobbled streets. Jean Valjean escapes into the sewers in one of the book’s most dramatic scenes, fleeing the barricade with a wounded Marius on his back. 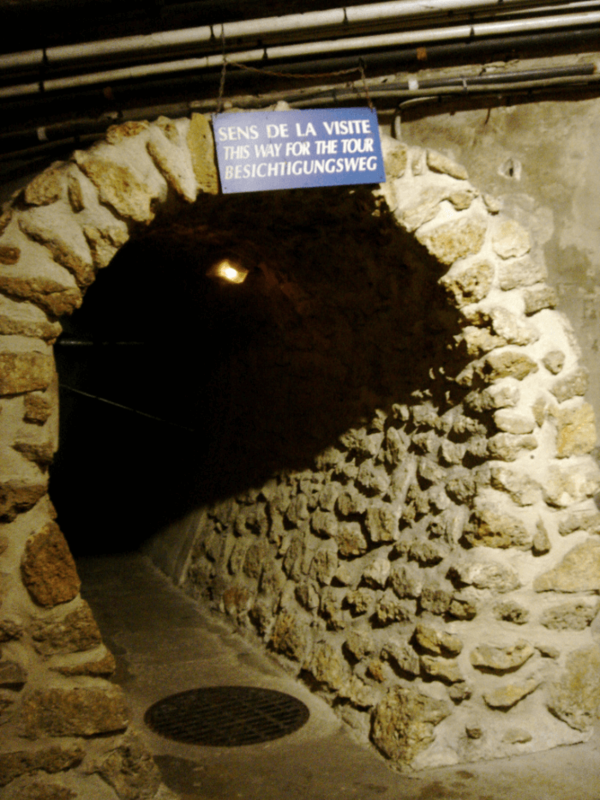 Today, visitors to Paris can still catch a glimpse of Paris’ underground at the Musée des Égouts. The museum offers hour-long tours chronicling the sewer system’s modern development—no hazmat suit required. I really want to do this tour next time I’m in Paris! Kids would get a huge kick out of it as well, don’t you think?! So friends….I’ll be tuning in to BBC’s Masterpiece Theater to watch every moment of Les Misérables! Let me know in the comments if you will be watching too! Yes! Can’t wait to watch! I love hearing your knowledge of all of these historical facts and how wonderful to tie them into the actual locations in Paris! The previews look so good! I always love Masterpiece Theater!!!! My favorite musical ever. I can’t wait for this drama! Thank you for the reminder, Mary. I’d definitely go on the Les Mis trip to Paris! Oooohhhh…good idea! Maybe a “Musicals Set in Paris” Trip???? ?